First published in 1988, this book sets out to reinterpret the changing place of working-class association in capitalist Britain. It argues that in combination, co-operation and association constitutes labour’s power — what is has to work with and who to work for — yet social historians have tended to overlook such views in a co-operative setting. What was the struggle, what form did it take, who were the protagonists and what relevance did they have to the community co-operators of the 1980s? 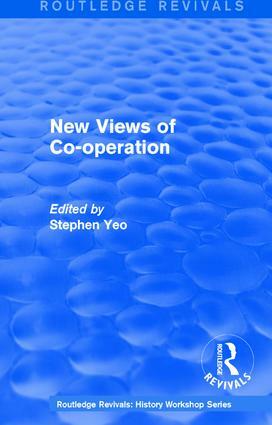 The essays collected in this book explore class potential and class conflict within and against co-operative thought and practice.